It’s a familiar predicament; you get a message on your iDevice, and somebody in your vicinity manages to see who it’s from, and sometimes has the audacity to ask questions about it. Makes you feel somewhat violated, doesn’t it? Everyone need a little privacy, and luckily, as reliably as clockwork, the jailbreak community is on hand to safeguard yours. The clinching feature of a handy new tweak entitled LockMessages is that it allows you to customize the alerts you receive on your lockscreen or through the Notification Center. You can change the sender’s name to something neutral, and you can also alter the title to a generic sequence of characters, thus safeguarding your sensitive details. For example, you could set it so each message pops up with "Message From" and then underneath, "Sender, Of Course", leaving the stalkers bewildered. Sneaky! In addition, you can also set a passcode to your Messages.app (nothing new, but useful nonetheless), providing a last line of defense against those who have the incessant need to busy themselves in the business of others. 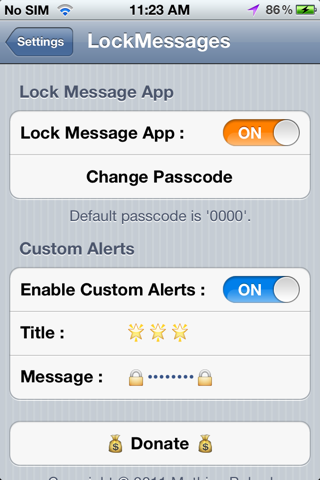 You can grab LockMessages from the BigBoss repository, for the very reasonable price of 99 cents. Some jailbreak apps, though useful and intuitive, end up pricing themselves out of the market by charging too much. Fortunately, that’s not the case here though, and is a must-buy for those who like to keep elements of their device away from others. Note, for those of you that do decide to make the purchase, settings are configured in the Settings.app – there is NO SpringBoard icon. Additionally, it’s iOS 5 only, so if you want the extended privacy, you’ll have to take the plunge and download Apple’s latest and greatest mobile operating system. 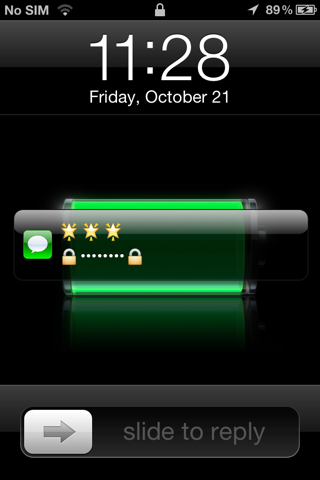 In order to get started with LockMessages, you will need a jailbroken iOS 5 device. To jailbreak your iOS 5 iPhone, iPad or iPod touch tethered using Redsn0w, you can follow our complete step by step guide posted here, or here if you want to use Sn0wbreeze on Windows. 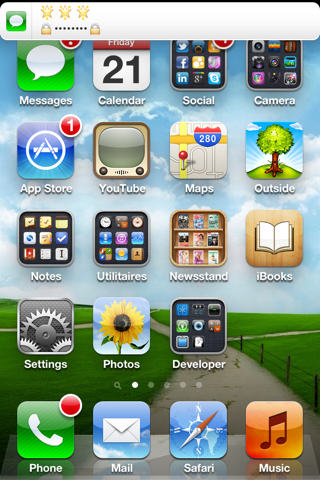 Since jailbreak on iOS 5 is currently limited to tethered boot only, you can install the ‘SemiTether’ patch (instructions here) from Cydia to make your jailbreak semi-tethered on iOS 5.